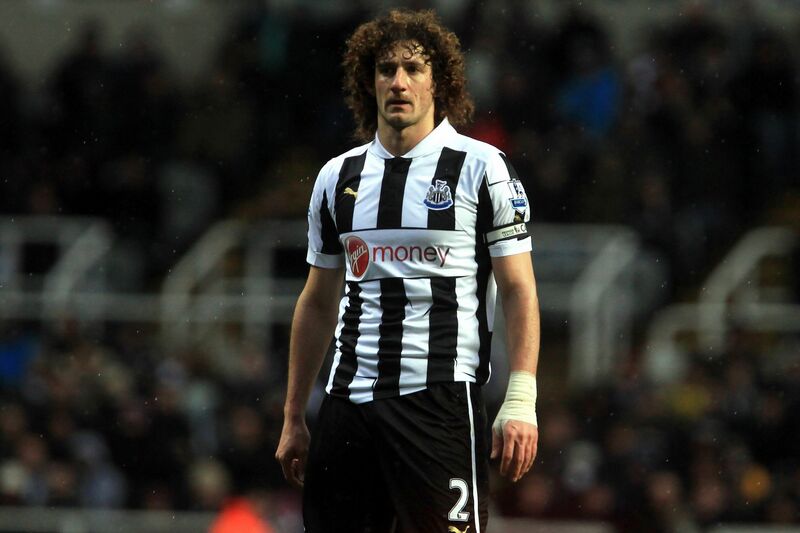 Is Coloccini Still Good Enough? Fabricio Coloccini has become a shadow of the player he once was and he is now hiding away in the centre of defence, rather than leading by example. Against Stoke, he was slightly improved, but he continues to be questionable positionally which is a worry, especially given the lack of alternatives in the squad. Don’t get me wrong, the Argentine has a lot of talent and is arguably the best centre back we have had at the club in the past decade, but he desperately needs help in the back four. He has lost some of his pace over the past couple of years. Once upon a time, the captain had the pace to cover for Mike Williamson, but he no longer has that, which makes playing alongside Williamson difficult. Earlier in the season the Argentine international looked back to his best alongside Steven Taylor, as he wasn’t required to cover for his partner and he could focus on his own game. Even when he has played alongside Paul Dummett, he has looked more comfortable. In the second half of the 2011/12 season, the partnership of Mike Williamson and Fabricio Coloccini looked a formidable one with the two players complimenting each other’s playing styles well, and was responsible for top class defensive displays against Manchester United at home and Chelsea away. However it is no longer good enough for the top flight as Coloccini no longer has the physical attributes to cover for Williamson’s shortcomings. Coloccini came to the club with a relatively large reputation as an Argentinian international and a former AC Milan player. After a difficult first season, in which he was part of the side which was relegated, he really started to show his quality and he has been a big part of our side ever since. Newcastle fans will know that the team plays better when the captain is in good form, and his presence in the back four brings a relative calm to side. Or at least it did for a long time, but moments like his horribly miscued clearance against Hull and his penchant for charging out of defence at the wrong times has led to Coloccini returning to some of the errors which ruined his first campaign at St James Park. The captain has always been one to come out of defence and challenge attackers further up the pitch when required. However his judgement for when that was appropriate used to be spot on and at some points this season, it hasn’t leading to gaping holes in our back four which has led to goals being conceded. Both goals scored by Southampton at St James’ Park were due to errors made by the captain, whether it was down to his poor aerial ability or down to the defender being out of position. Although Coloccini is ageing, he can still have another few years at the top level if he is managed correctly and played alongside a partner who will complement him. I think it’s clear now that we need to go into the market for a younger, quicker centre half in the summer to give Coloccini more slack on the pitch. Jamaal Lascelles could be that player and perhaps that is why he was signed last summer, but his lack of game time at Nottingham Forest this season will raise the question about whether he is ready for the Premier League. Mapou Yanga-Mbiwa would have been a player more complemented to Coloccini than Mike Williamson. However he was shipped out in the summer and wasn’t even given a real chance in the side. The defence is the position of highest priority this summer and Newcastle can’t afford to go into another season with Williamson and Coloccini being the most used centre half partnership. Coloccini has never had real competition at the club and that has been a factor for his up and down form since joining the club. There is no doubt about his quality as a centre back, but sometimes he doesn’t have the motivation to perform at his best every week and that needs to change and the only way of doing that is to bring in serious competition for the centre back. The captain has been a great player for the club for a number of years and it would be a shame to see his last couple of seasons being marred by inconsistent form.